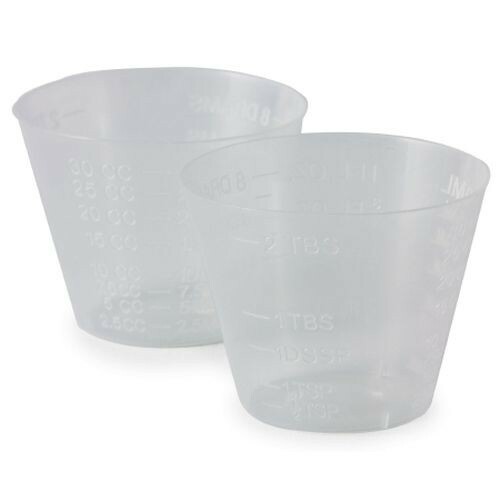 McKesson Medicine Cups provides a sanitary way to dispense liquid or solid medications. They are disposable, which helps prevent the spread of germs. 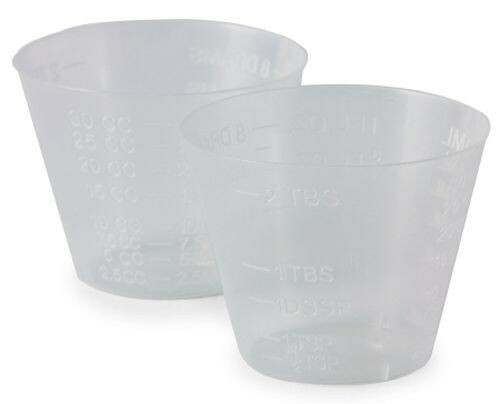 These cups feature graduated measurement lines that are easy-to-read. They are highly durable and versatile. Although they are most commonly used in the health care industry, they can be used to distribute food samples or are the perfect size for measuring precise quantities of cooking ingredients, such as spices. It is made from translucent plastic, so you can easily see the contents of the cup at a glance. It holds 1 oz of liquid, is latex free, and does not include a lid. Medicine Cups are also available with a lid and colored, such as Health Care Logistics Medicine Cup.